Home » Global Communication – How dubbing has brought the world come closer. Dubbing has significantly contributed in bringing the world come closer resulting into an effective global communication. There are times when businesses find it difficult to go international and make an impact on their target audience globally. But now with the emergence of loads of dubbing services around the world, it has become much easier for businesses to go beyond their limitations and let people know about their products and services regardless of any communication barrier. Dubbing has eliminated the language barrier and helped many businesses reach outside their comfort zones and have an effective B2B or B2C communication with the people in other countries. Movies are the great sources of entertainment and to know about the people & their culture from around world. In order to let people easily understand and enjoy every bit of any foreign movie, it is important to convert the original language into their native languages with the similar tone and pitch. This is where dubbing comes into play. There is team of voice actors, directors and other dubbing experts who translate the whole movie into another language with proper lip synchronization. Sometimes famous local actors are hired to perform the voice-overs in order to attract local audience and turn out to be a box office success. There are many examples of TV programs gaining recognition and doing good business across the world. Some of them are “Game of Thrones”, “The Umbrella Academy”, “Ask Laftan Anlamaz” etc. If they were not dubbed in other languages, the possibility of their immense popularity might get affected. So, dubbing plays an important role in localizing a TV program and helps in gaining popularity all over the world. Nowadays, Advertising companies are spending a lot on ads for reaching their target audience and popularize their products and services. And for advertising in a different country localization of advertisements is necessary that majorly includes dubbing of the ads in target language. According to statista.com, the spending on advertising worldwide has been increasing steadily and is expected to reach almost 563 billion U.S dollar in 2019. This clearly shows how important is dubbing for the advertising industry. A good corporate presentation can help creating various opportunities for your business. It is easy to deliver the business insights in the local language. But it becomes difficult when it comes to deliver the corporate presentation in a foreign language. This needs specialized dubbing artists who can make your presentation easily understandable to other business personnel. 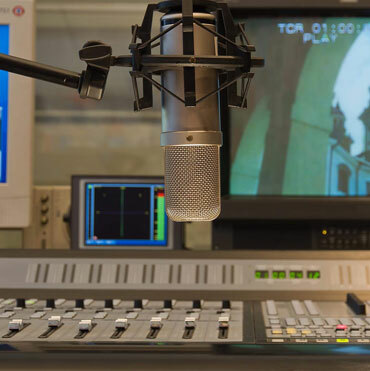 In a nutshell, dubbing has made it easy for businesses to reach the global audiences, promote their brand, increase sales and generate huge Return on Investment. Furthermore, it has bridged the gap between communicating from one language to another language and has brought the world come closer.